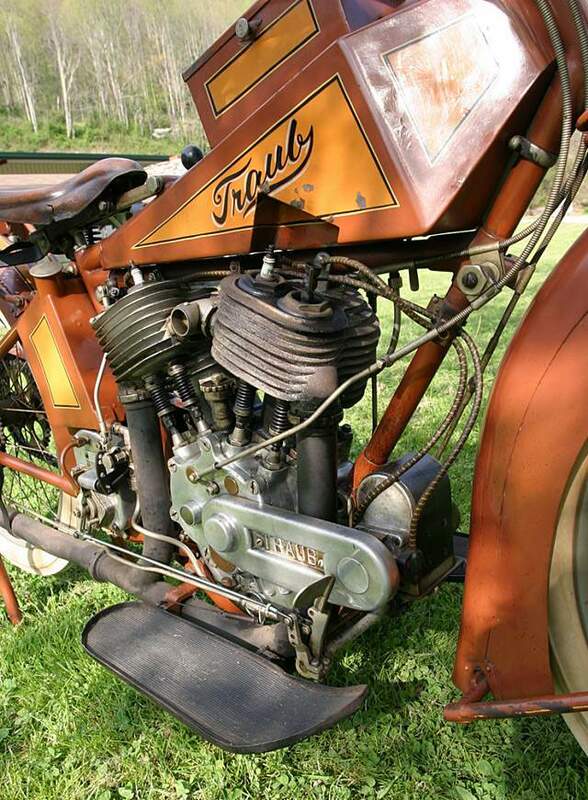 Just A Car Guy: In 1967, a Chicago plumber tore down an apartment building brick wall for renovations, and found a 1916 motorcycle, a Traub. In 1967, a Chicago plumber tore down an apartment building brick wall for renovations, and found a 1916 motorcycle, a Traub. As the story goes, the building’s elderly owner admitted that his son had stolen the bike, and was so enraged and embarrassed at his son's act of thievery, that he forced him to enlist in the Army.